Whether you want to make a booking, send us a donation or just fancy a chat about all things Legge House, we will be delighted to hear from you! The best and easiest way to get in touch with us at Legge House is to complete the following contact form - We aim to reply to all messages within 24 hours. However, if your query is urgent please call us (see Telephone below). 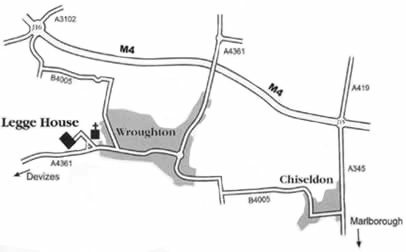 We can be found on the outskirts of the village of Wroughton; our entrance is signposted from the main road. Wroughton is well served by buses from Swindon town centre, where there is also a train station; this is a mainline station with regular trains running from London, Bristol, South Wales and Gloucestershire. Should you require further information on travel, please do not hesitate to get in touch.